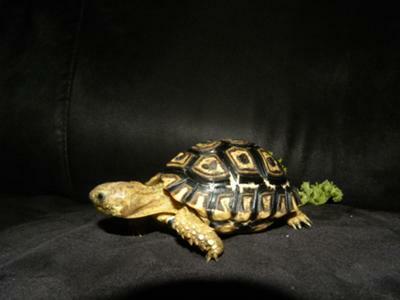 My baby leopard tortoise has recently started making a clicking or snapping sound when he opens and closes his jaws. Is this normal? I've heard horror stories about rotting jaws and I'd like to catch it early if possible. He's also got white spots on his shell that are flat and smooth to the touch - I assumed this is a result of his growing. Is this true? The light spots look like growth rings to me. Sorry, dont know about the snapping thing.